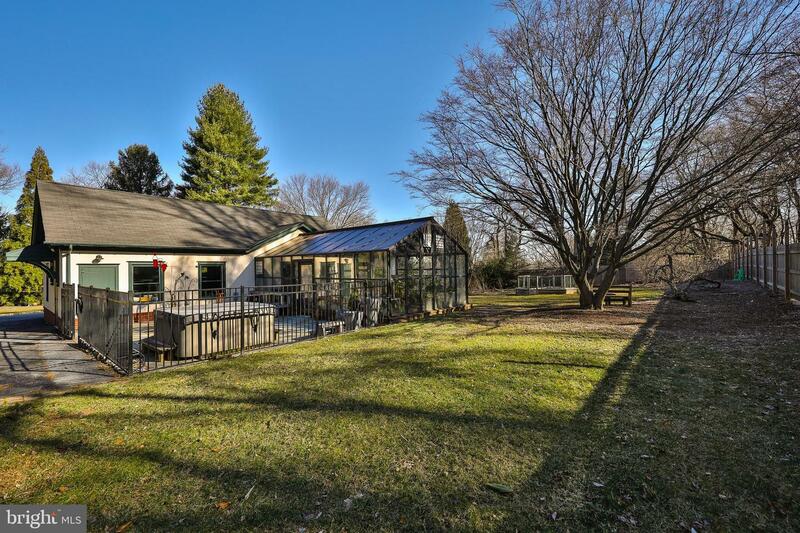 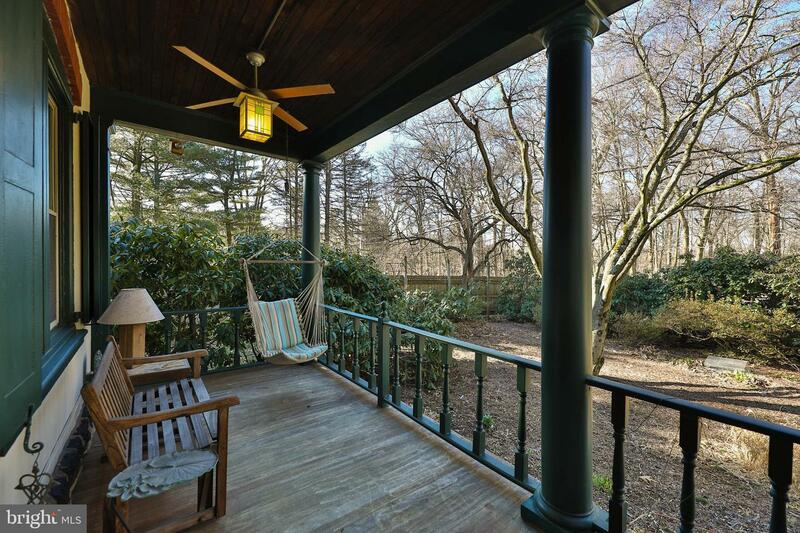 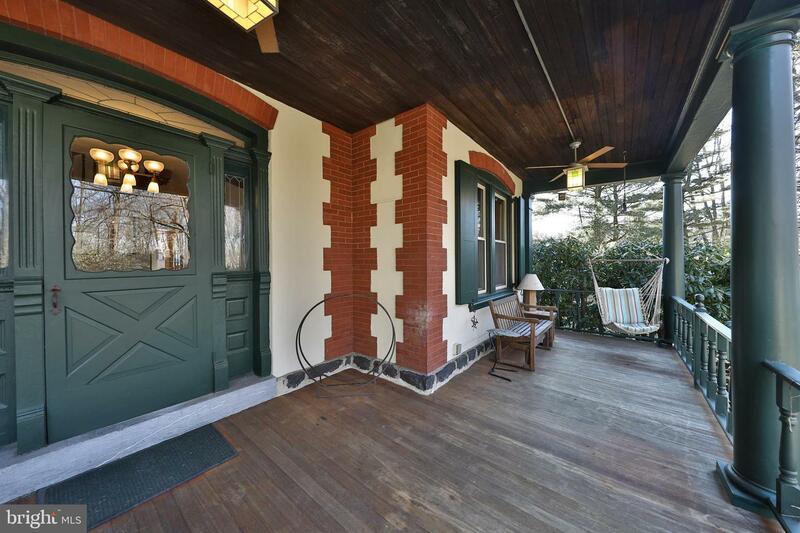 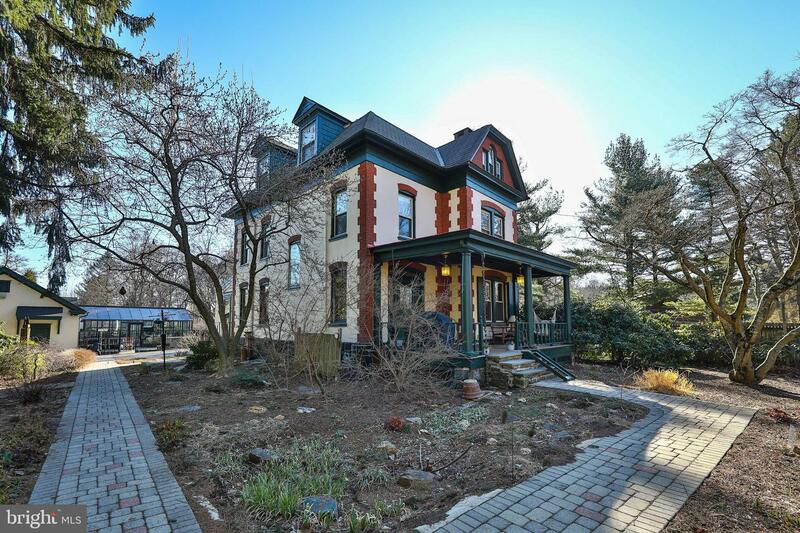 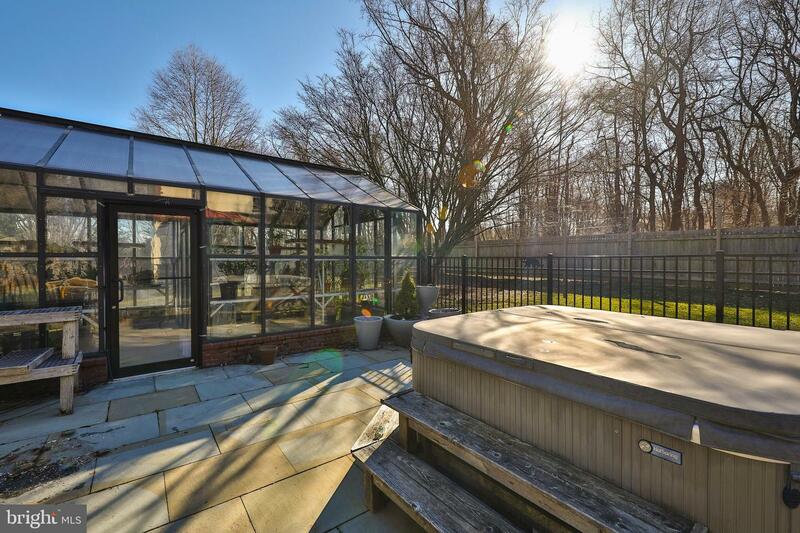 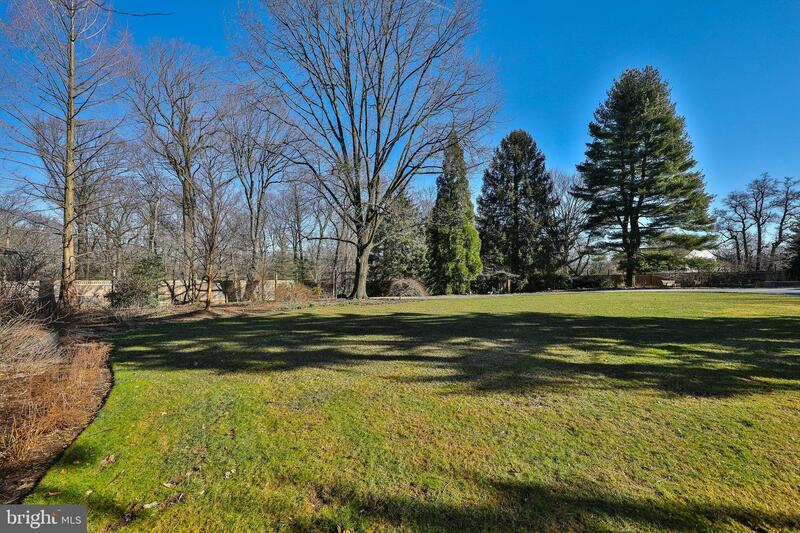 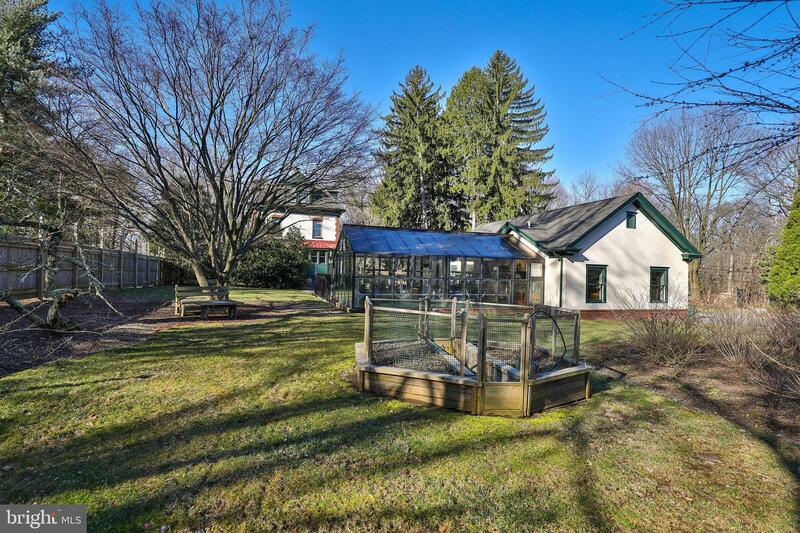 All the delights of country living await at 770 Hilltop Circle also known as 644 King of Prussia Rd. 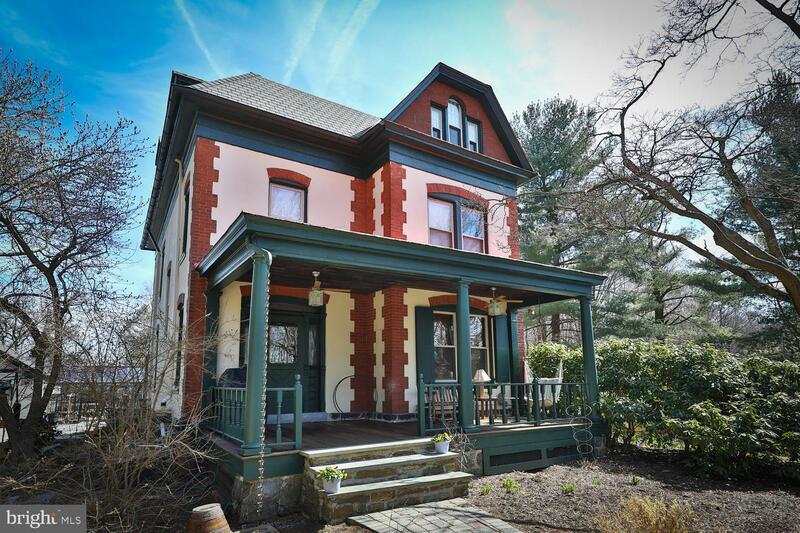 Here a warm, sunny, beautifully restored c. 1895 Victorian farmhouse occupies 1.2 private acres of exquisite property with expansive lawns, lush gardens, groves of trees and restful sitting areas. 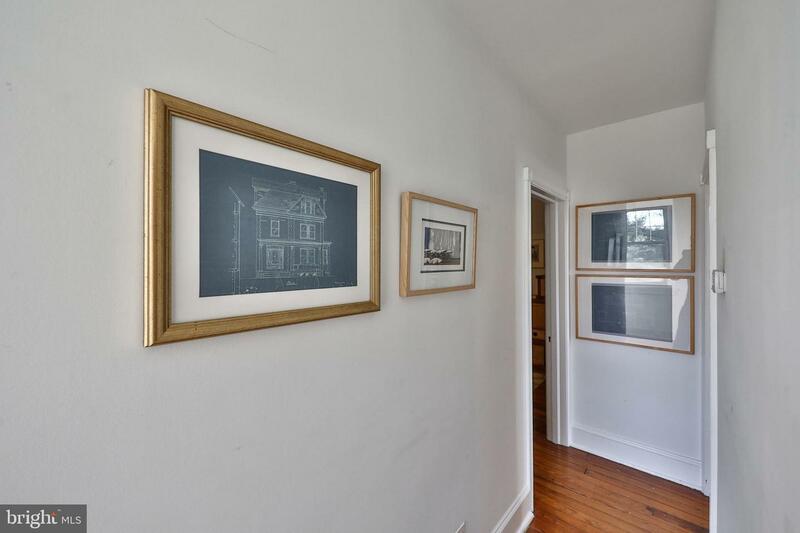 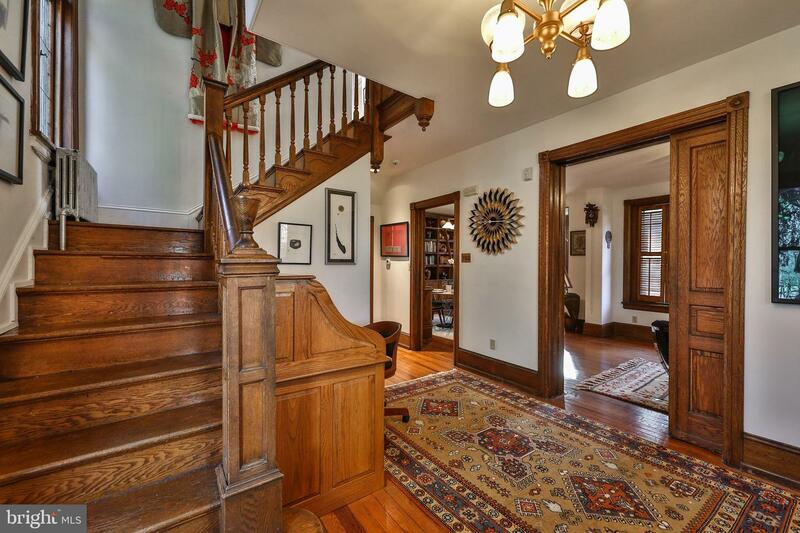 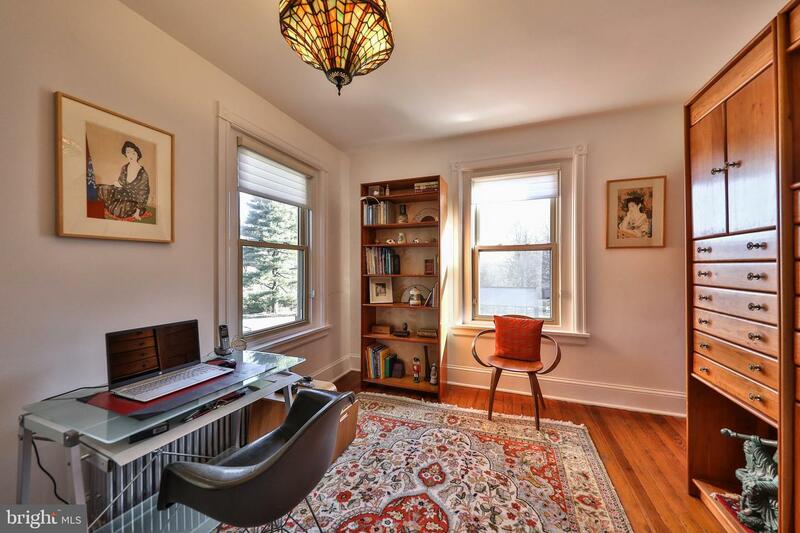 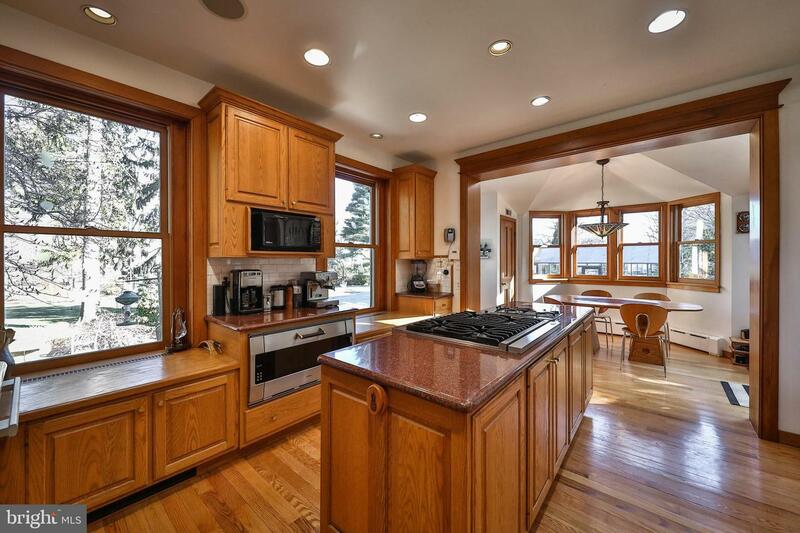 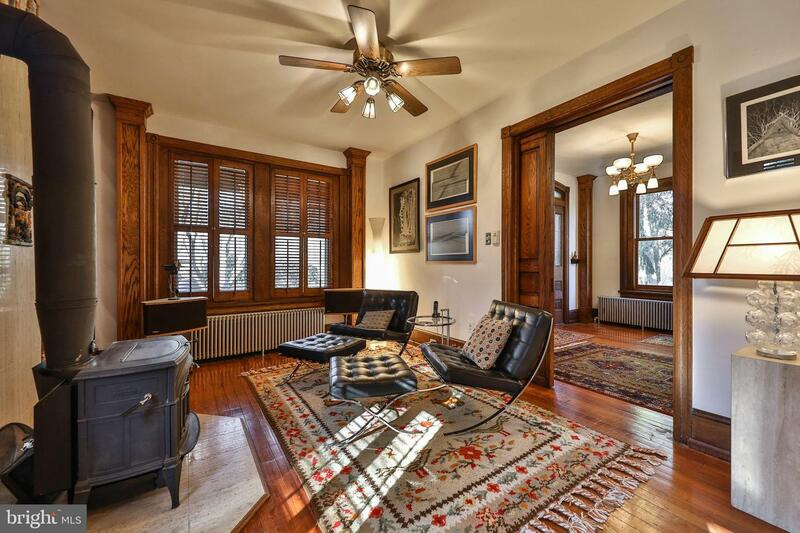 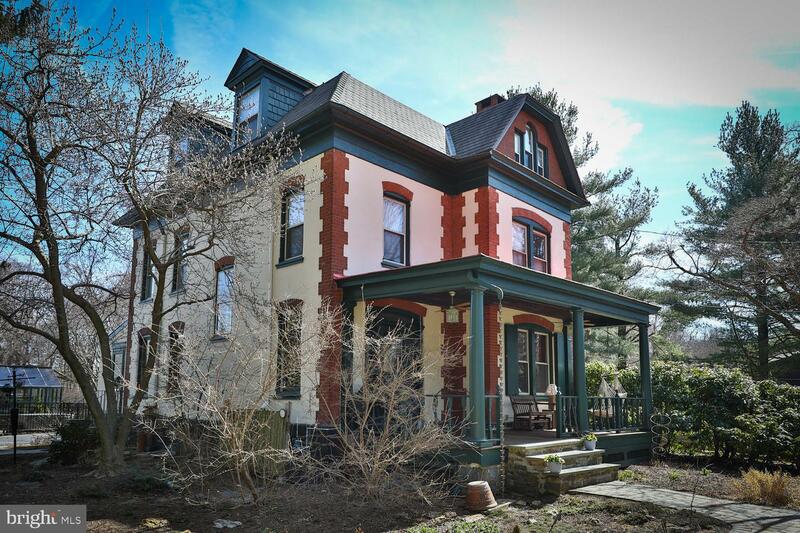 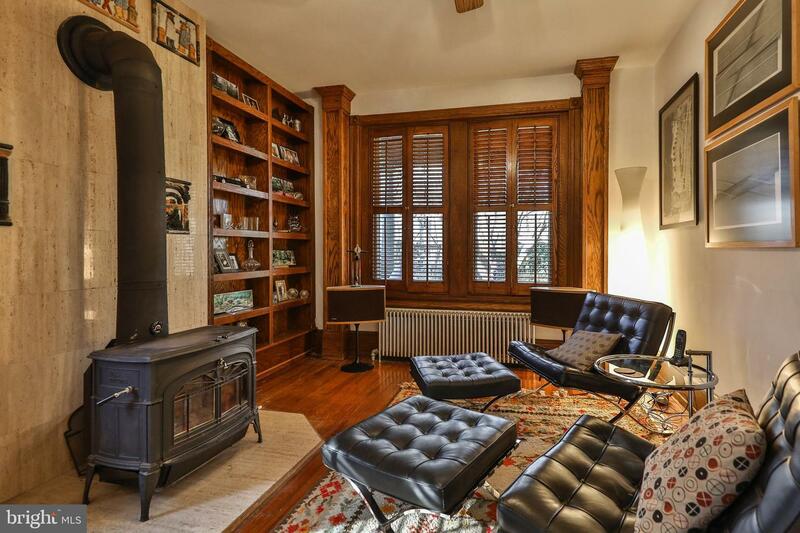 The home is a sophisticated blend of original character and charm with high end updates. 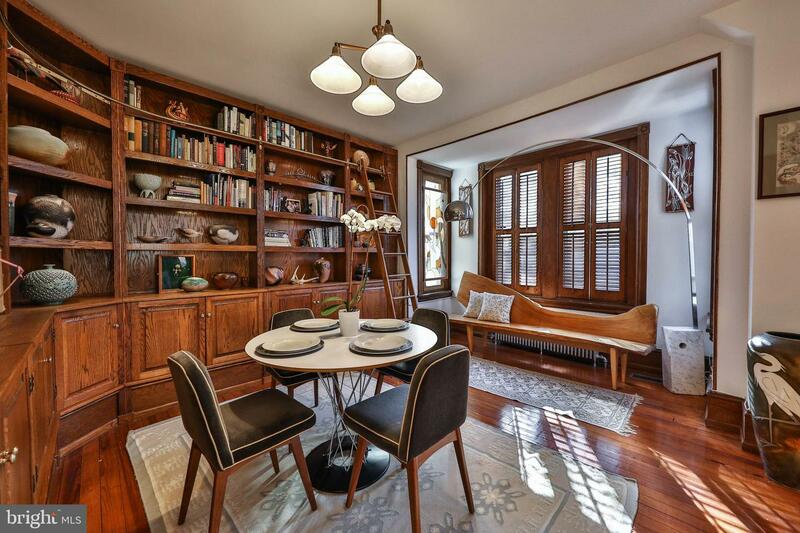 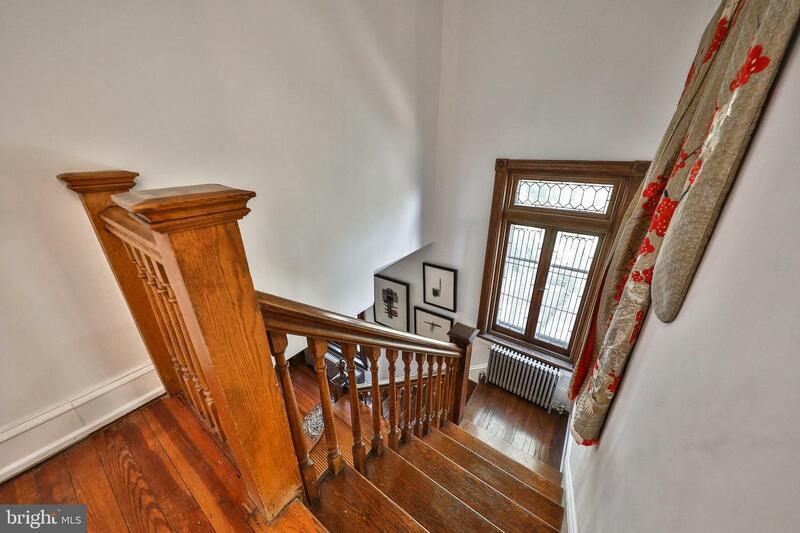 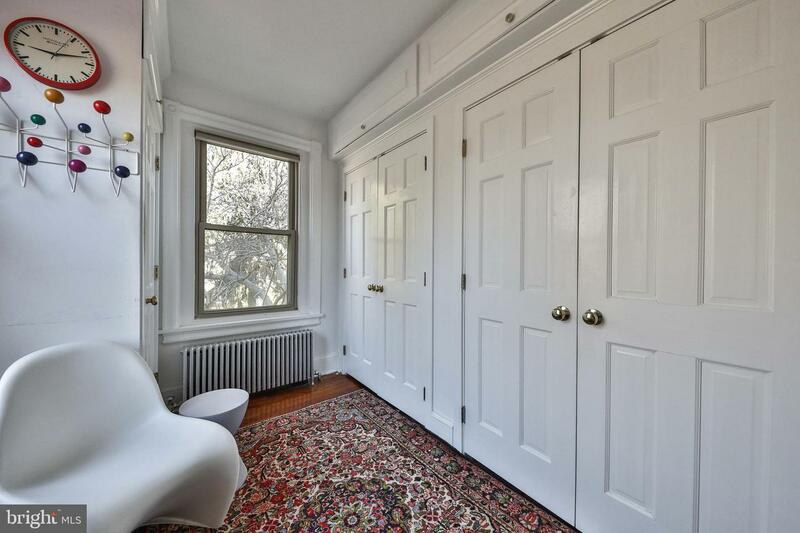 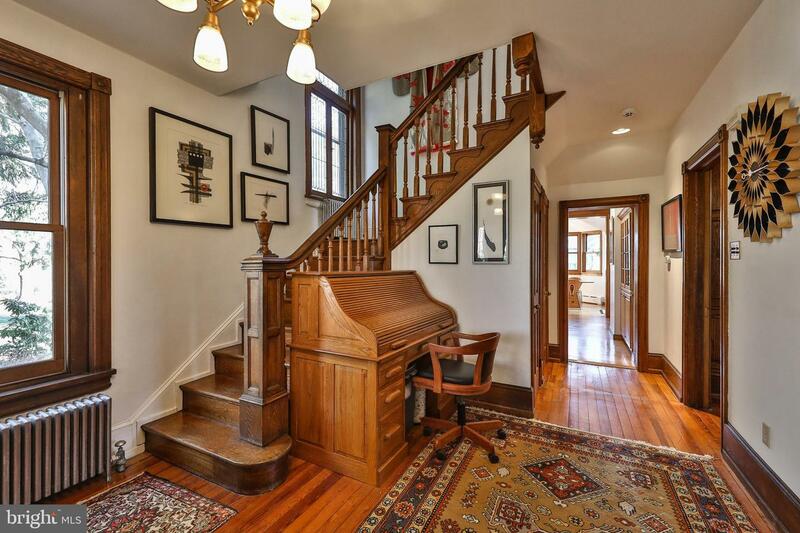 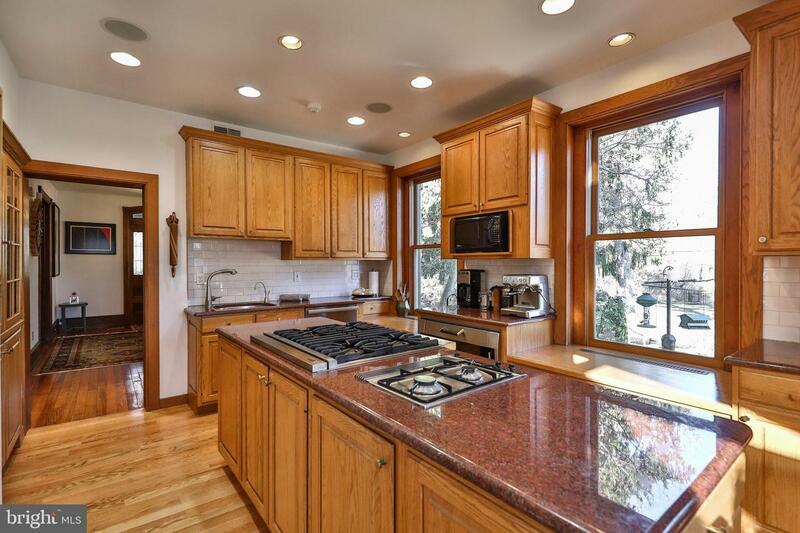 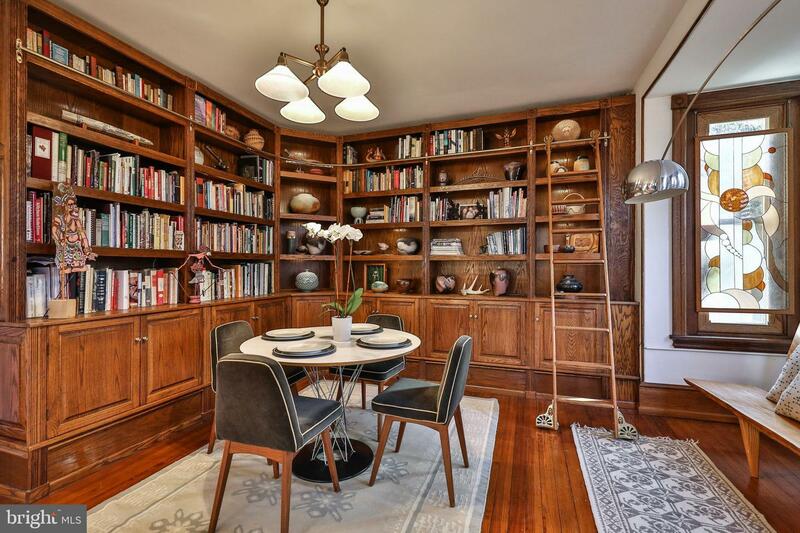 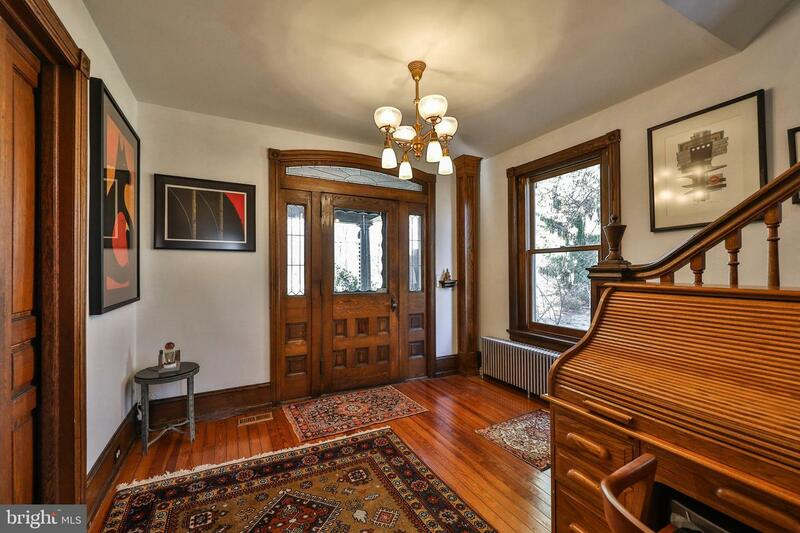 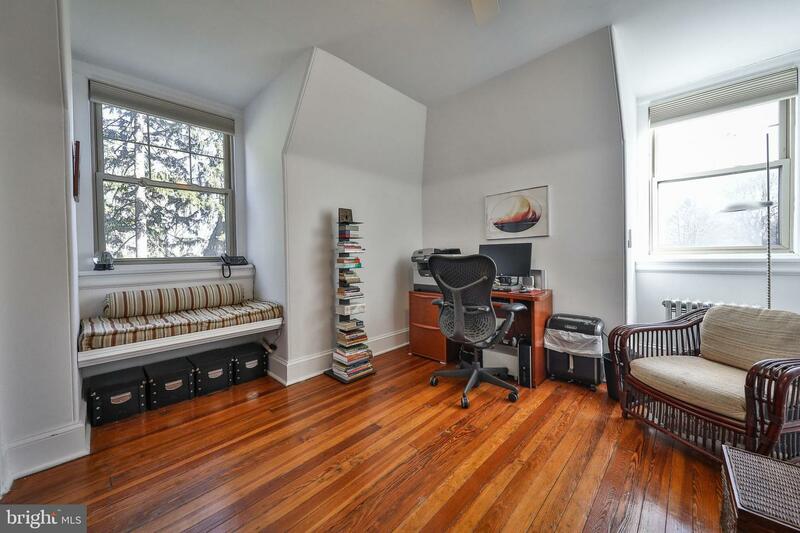 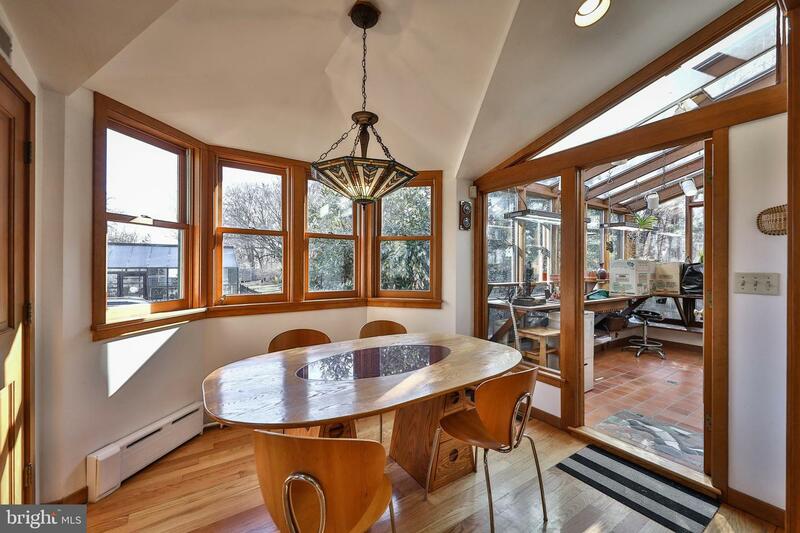 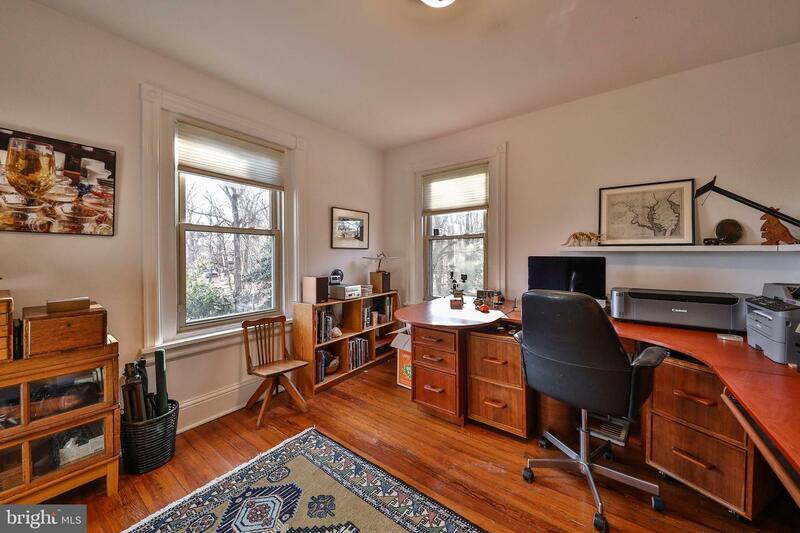 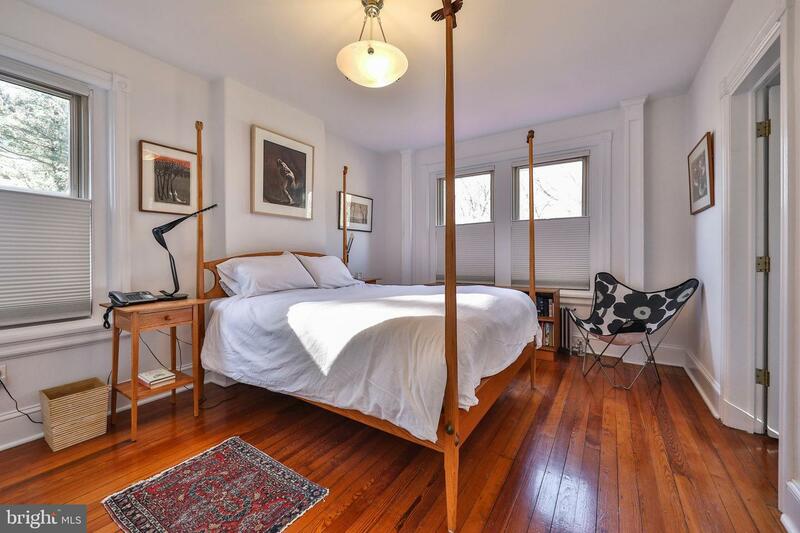 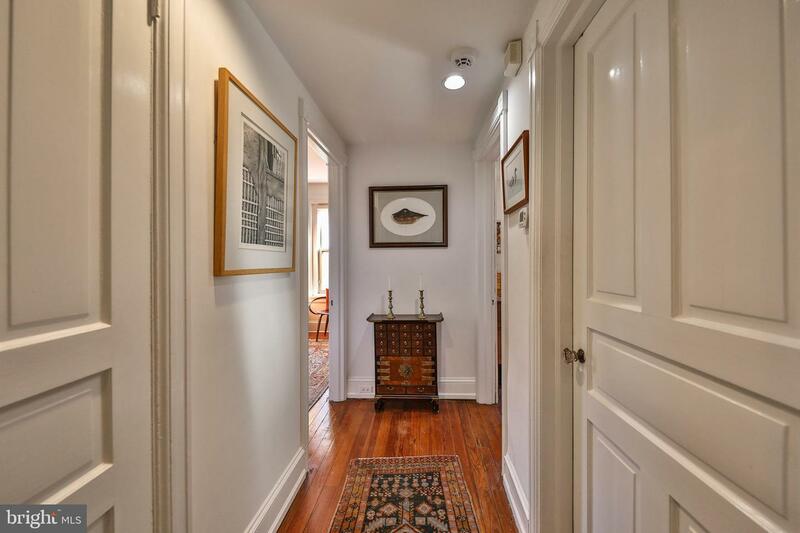 Note the high ceilings, the gleaming wood floors, the handsome built-ins, the rich chestnut, oak and elm millwork, the pocket doors, and leaded and stained glass. 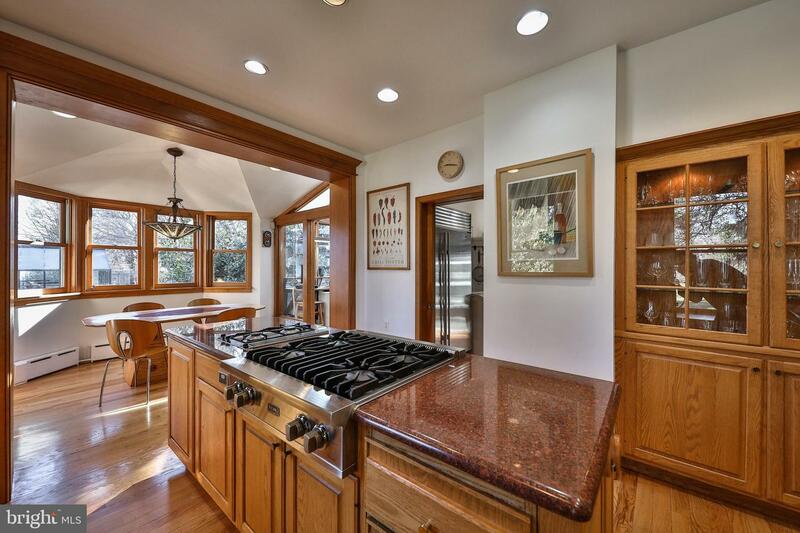 The architect-designed kitchen/breakfast area is a cook's delight with granite counters, Viking cook top, Gaganeau oven, Miele dishwasher. 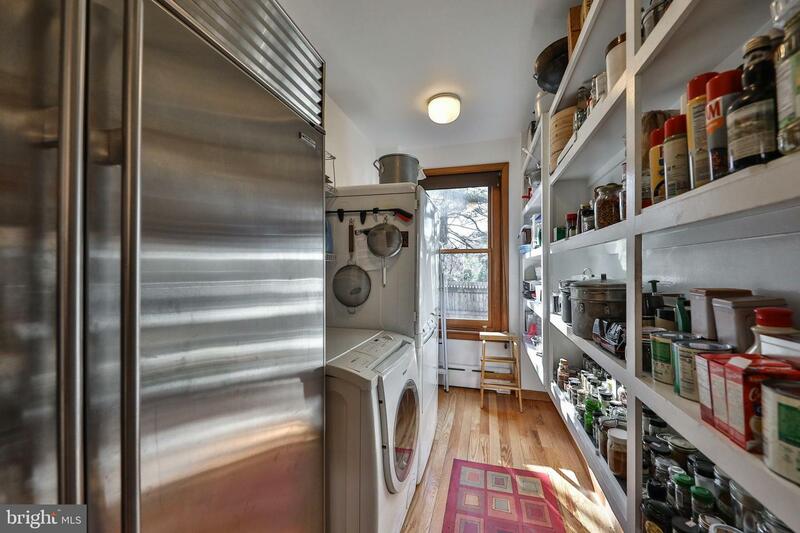 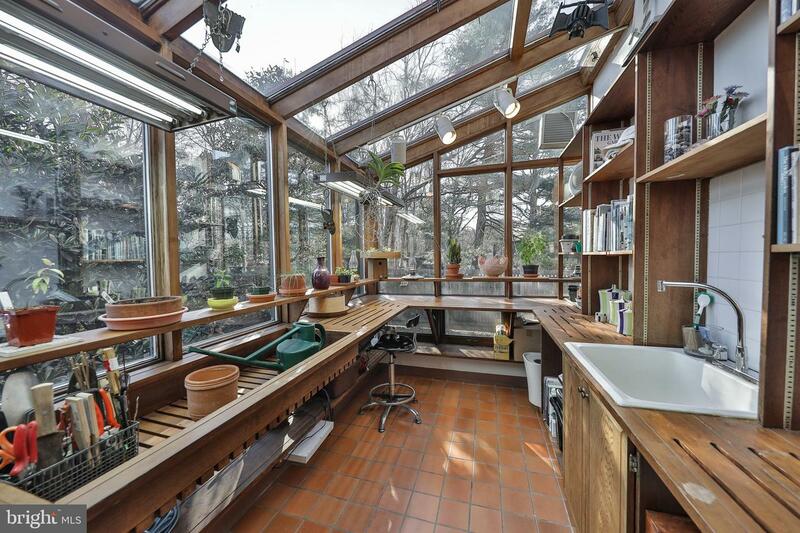 A large pantry/laundry area joins the kitchen while the breakfast area opens to the sunlit greenhouse with its Mercer tile motif. 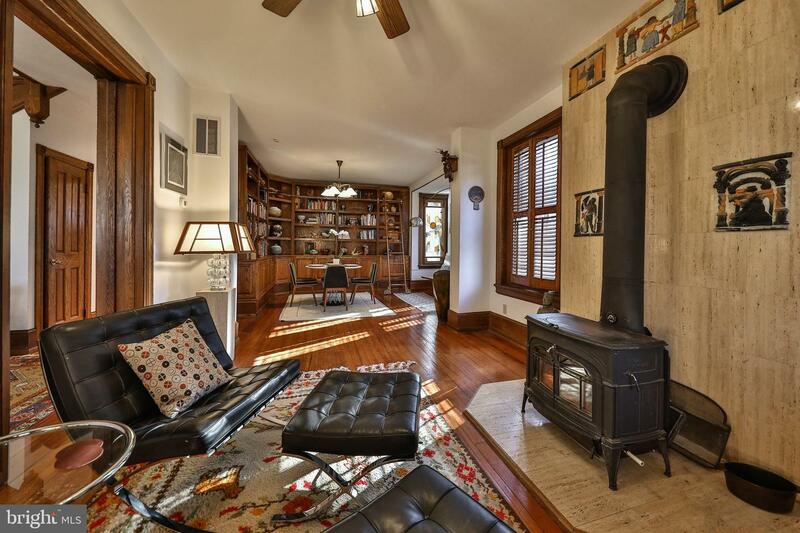 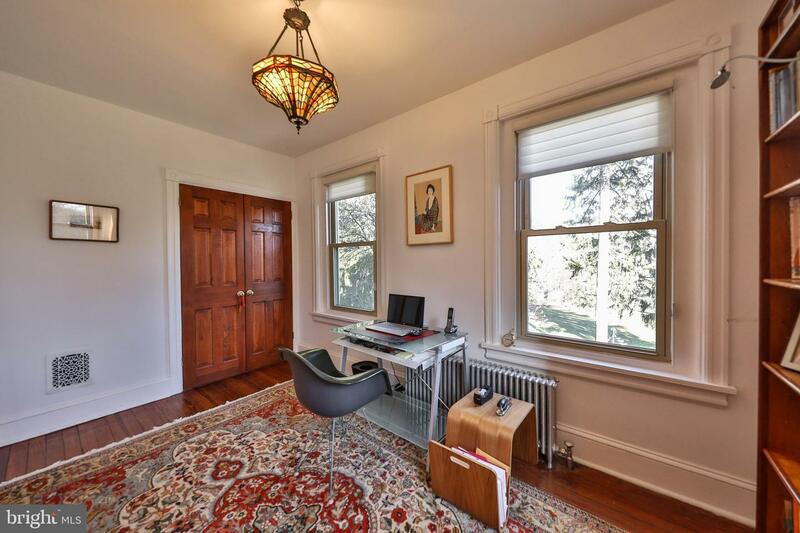 The first floor also includes the beautiful living room/library (which can also be set up for dining) with its wood stove and Mercer tile accents, the large entry hall and a powder room. 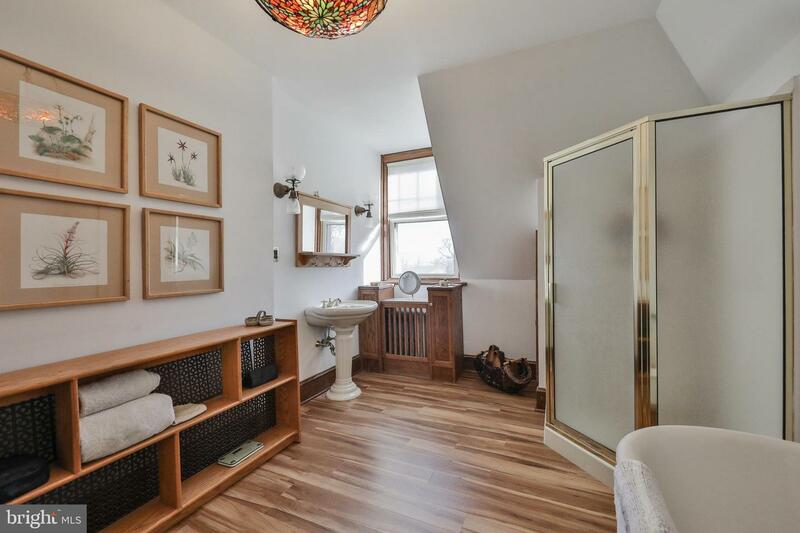 Upstairs are five bedrooms, two full bathrooms (one Euro designed and one with a whirlpool claw foot tub) and a half bath. 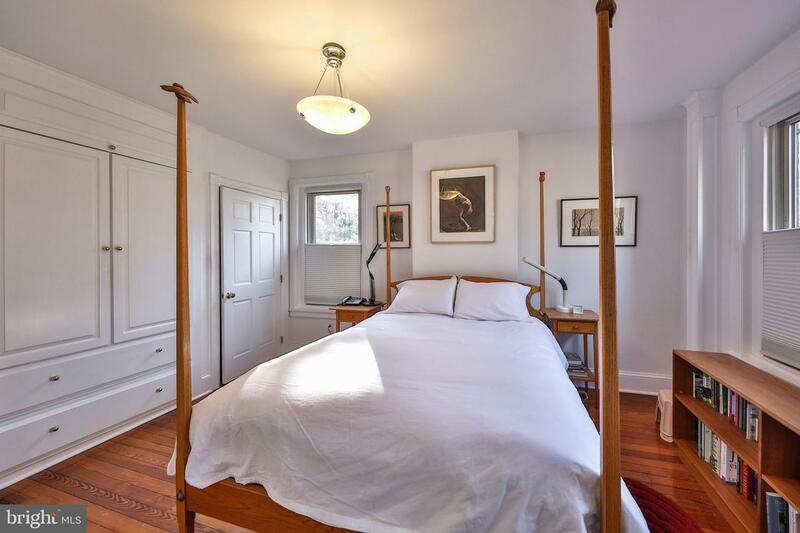 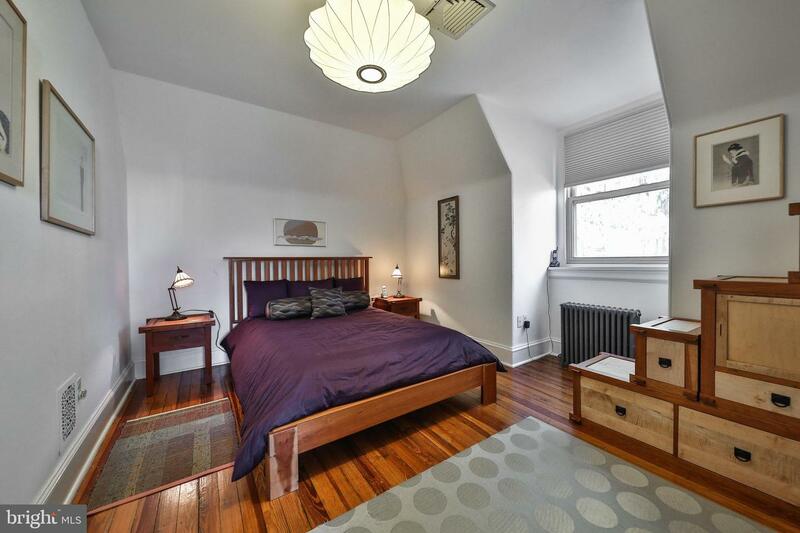 The main bedroom offers wonderful built-ins and an adjoining dressing room. 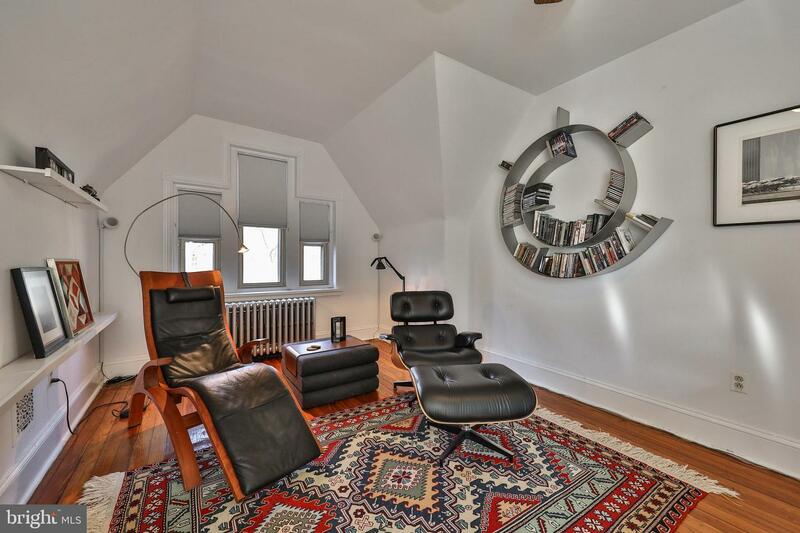 A large room on the 3rd floor with a vaulted ceiling serves as a media room. 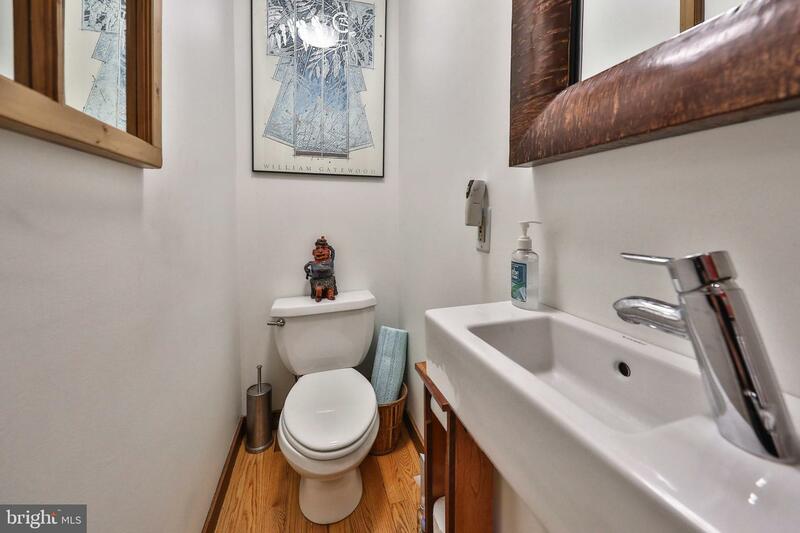 Exceptionally well maintained the home features a newer furnace and hot water heater, updated electric, back-up generator, newer roof, two-zone central air. 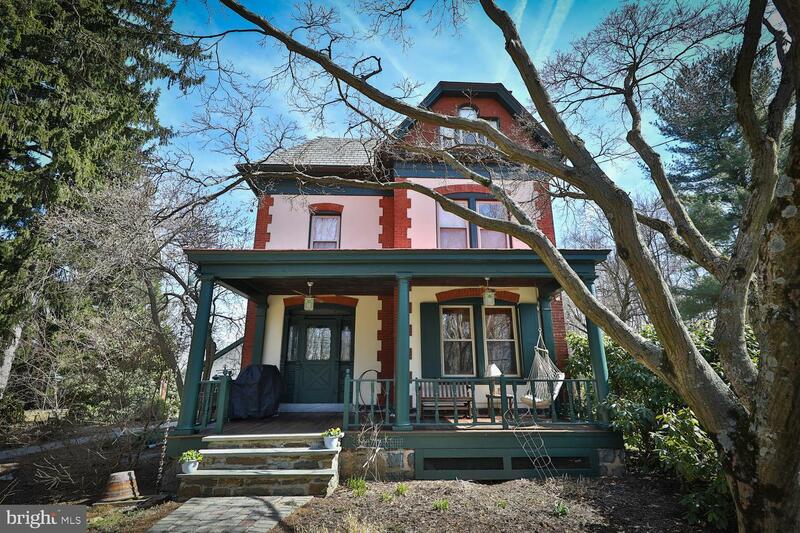 The exterior has been recently painted. 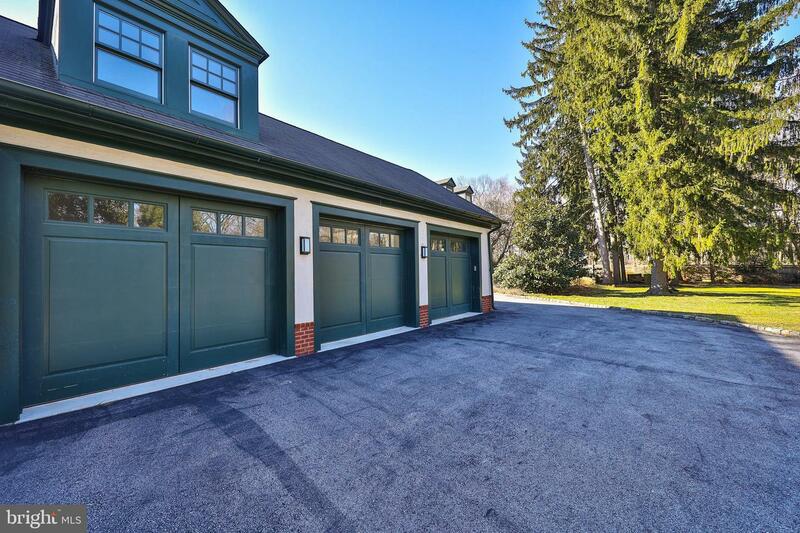 The handsome new 3-car garage was also architect designed and is joined by a professional caliber greenhouse, patio for outdoor enjoyment and a hot tub. 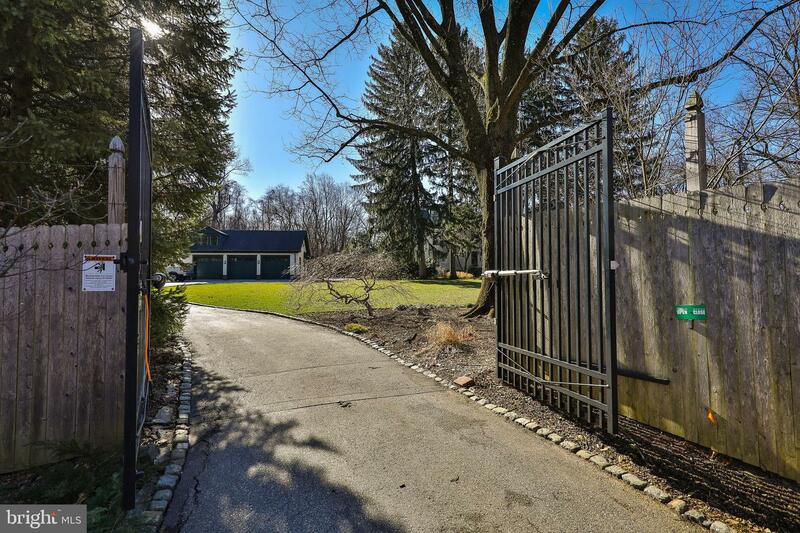 Both inside and out this is an exceptional property. 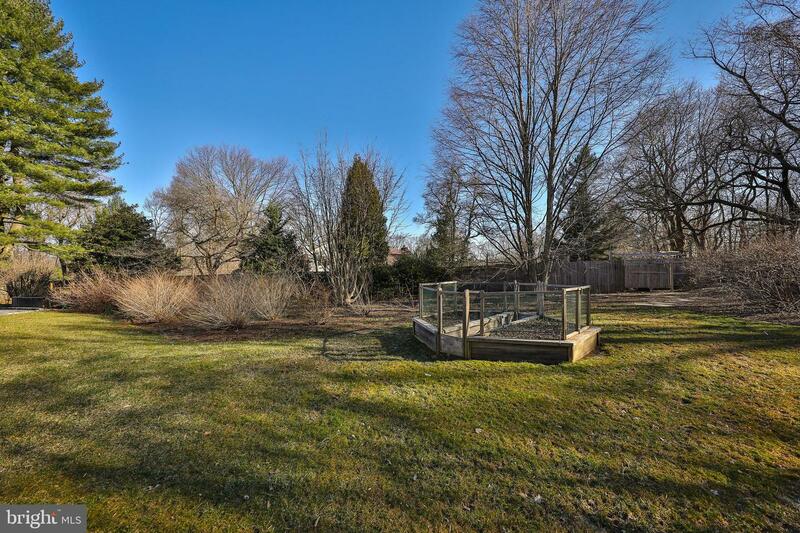 To add to its peace and serenity, a nature preserve sits just across the road. 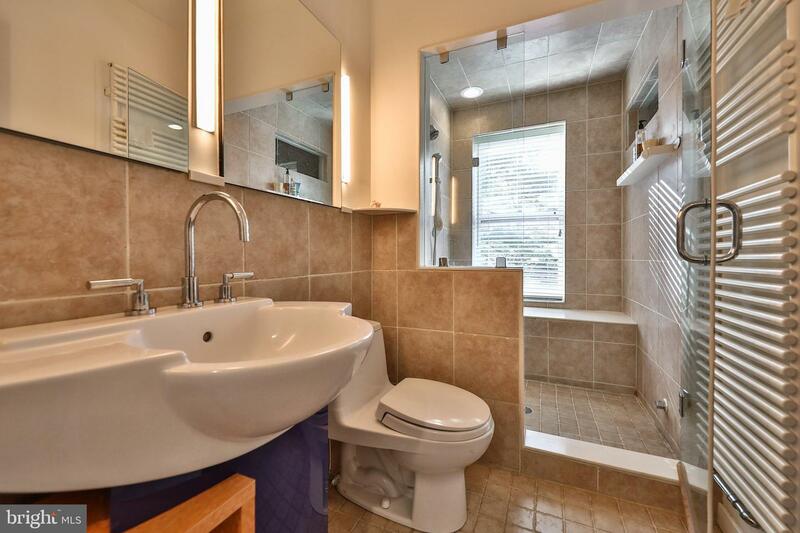 Public transportation, shopping and the expressway are easily accessible. 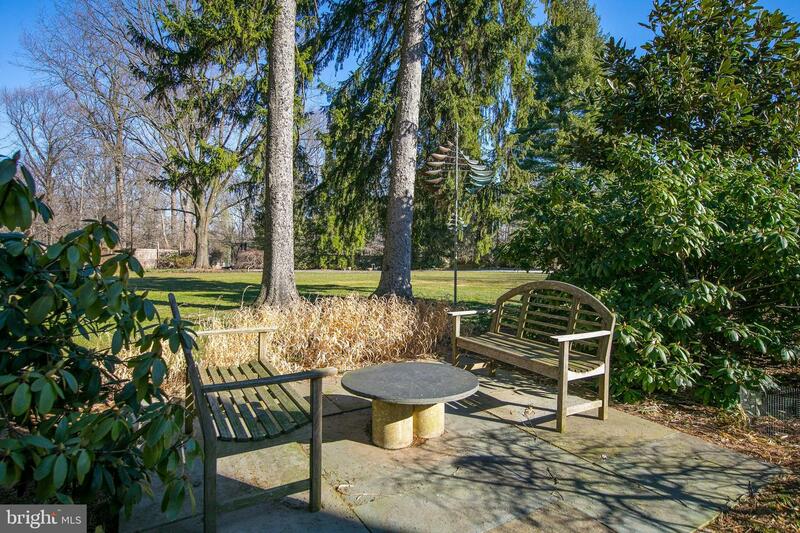 The town of Wayne is just five minutes away and center city is only 25 minutes away. 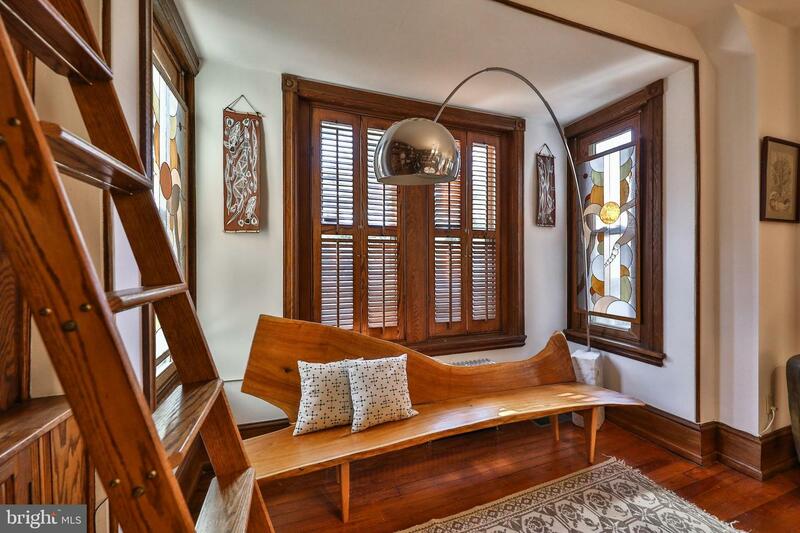 A sheer delight!